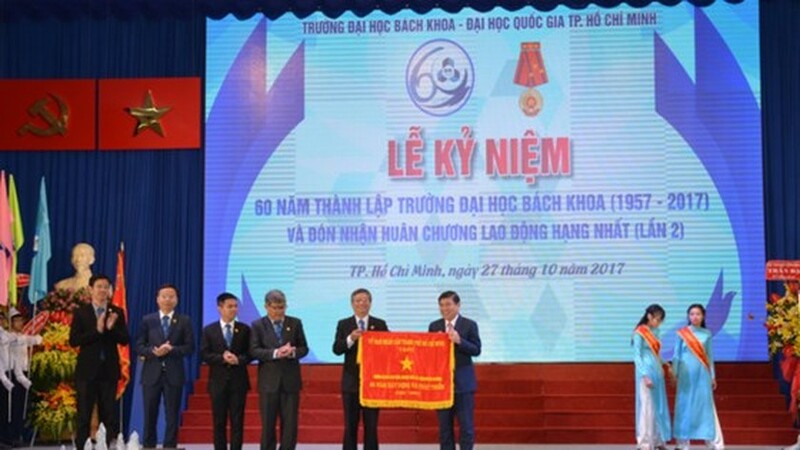 Bach Khoa University (BKU) under the National University of Ho Chi Minh City celebrated its 60th establishment anniversary (October 27, 1957- 2017) yesterday and received the first class labor medal. 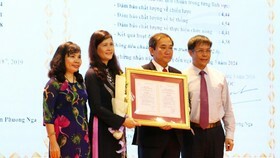 Deputy Standing Prime Minister Truong Hoa Binh offers the First Class Labor Medal of the Vietnamese President to the university's leaders. Attending in the ceremony were Deputy Standing Prime Minister Truong Hoa Binh, Secretary of the Ho Chi Minh City Party Committee Nguyen Thien Nhan, Chairman of the NA Committee for Culture, Education, Youth, Adolescents and Children Phan Thanh Binh, Chairman of the HCMC People’s Committee Nguyen Thanh Phong, Director of National University of Ho Chi Minh City Huynh Thanh Dat and leaders and former leaders of the city and the National University. 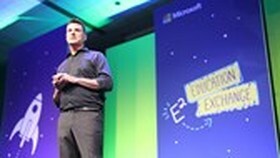 Speaking at the celebration, Prof. 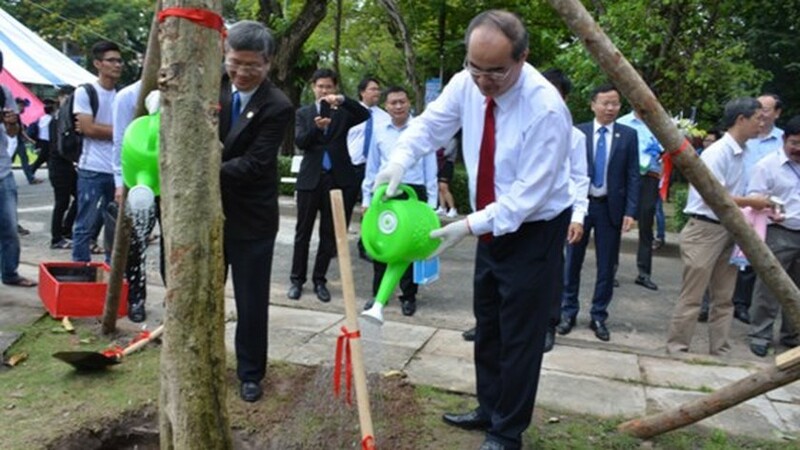 Vu Dinh Thanh, rector of BKU said that BKU has become one of top three largest universities of technology in Vietnam with 11 faculties, 10 centers for science research and technology transfer and four training centers with 14 specialized units since its establishment in 1957. For over 60 years, the university has had more than 80,000 engineers, bachelors, over 10,000 masters and 200 PhDs. BKU is among four universities in the country which has achieved European Standard from the High Council for Evaluation of Research and Higher Education (HCERES). In addition, this is the first university of Vietnam having two curriculums achieved ABET (the Accreditation Board for Engineering and Technology) standard of the US and 11 ones achieved ASEAN standard. 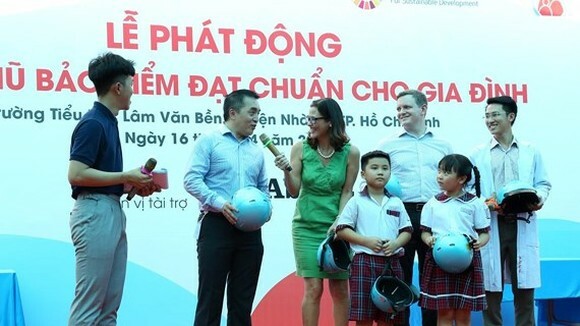 Politburo member, Secretary of the HCMC Party Committee Nguyen Thien Nhan spoke at the ceremony that the city and nationwide localities have been approaching new era of science & technology and knowledge development. Thus, the universities acorss over the country have contributed important roles for the country’s education sector. 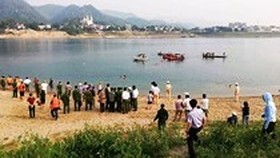 On the occasion, Deputy Standing Prime Minister Truong Hoa Binh awarded the First Class Labor Medal; Chairman Nguyen Thanh Phong handed over traditional flag to the university’s leaders. Accordingly, this is the second time that Bach Khoa University has received the medal since 1998. 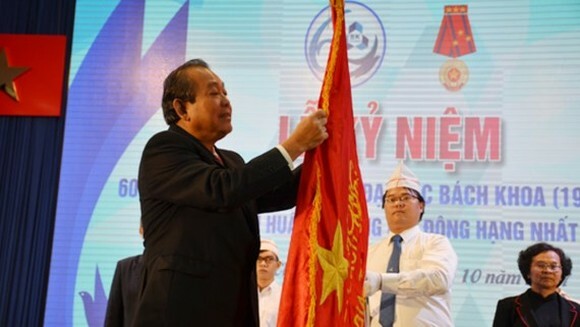 Chairman of the Ho Chi Minh City People's Committee Nguyen Thanh Phong hands over traditional flag to the university’s leaders at the celebration.